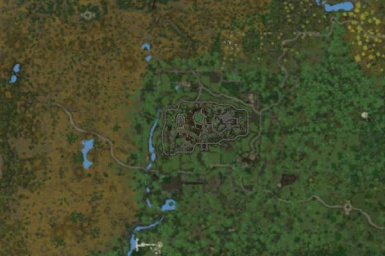 Your world map displays correct terrain for the active mods you have. 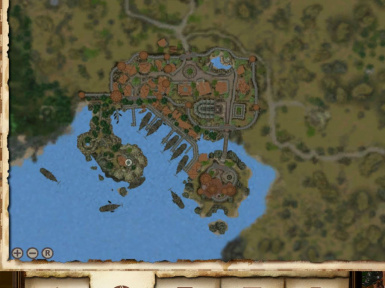 Also let you zoom your world map in/out. OBSE v 19 (or newer) required. MenuQue v 7 (or newer) required. 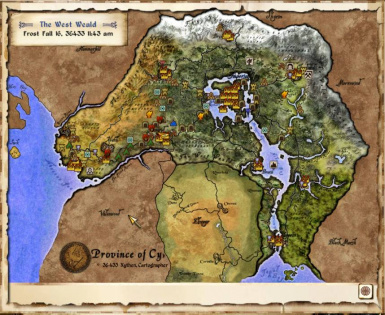 Dynamic Map makes the world map reflect your installed mods. 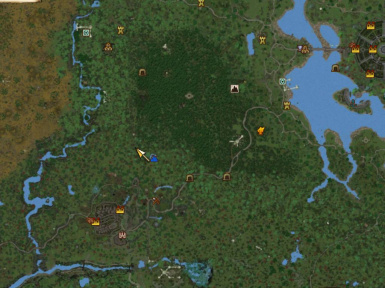 It reads your active mod list, and modifies the world map accordingly, by placing sub-map components for the supported mods, onto the main world map so it looks exactly like the world map was made that way. Dynamic Map removes the need of any map dimension esp file if you use a map with non-standard dimensions (like the Stirk addition), since it reads the dimension data from the ini file and sets them accordingly through script. 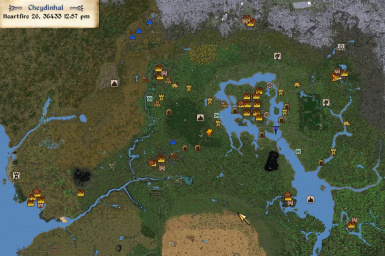 It also adds zoom to the worldmap, through 3 keys or zoom buttons. One key/button to zoom out, one to zoom in and one to reset to default zoom. 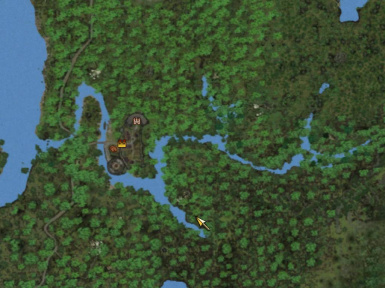 The zoom keys can be configured in "Dynamic Map base.ini", and by default are 1 (zoom out), 2 (zoom in), 3 (reset zoom). Set zoom in/out to 264 and 265 if you want to use the mouse wheel instead. The zoom buttons can easily configured for position, or visibility in the ini file. There are three visibility options: Always hidden, always visible, or visible on mouseover. 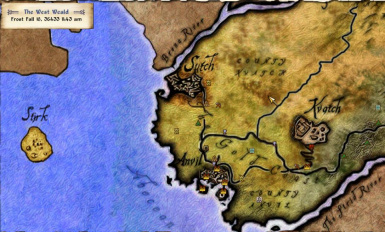 Dynamic Map contains a choice of four different base maps. 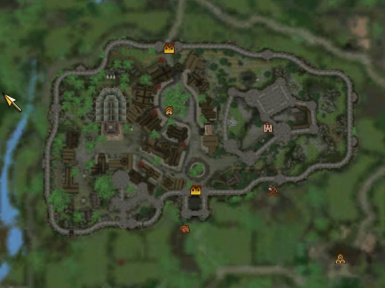 The sub-map components provided for each base map are different. 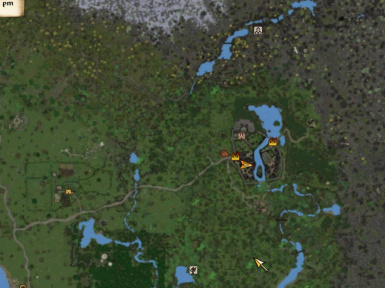 You do not need to edit the ini file, Dynamic Map will automatically detect the mods you have installed, and only display the correct sub-map components. 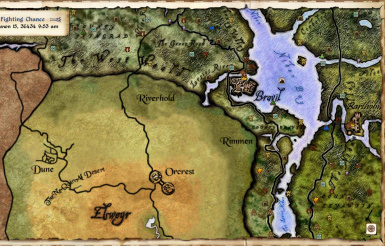 Note however, the Road and Trail components for Elven and Color maps are not mod-dependent since they add roads to the maps, for unmarked vanilla roads and trails. If you don't want them on your map (some of them will overlap the road+bridges component), open the "Data\Ini\Dynamic Map.ini" file and look for the four Road and Trails entries at the bottom. Just remove the section for those you don't want from the ini (or just add a semicolon in front of the "SetStage tnoDM 20" lines. The archive is OMOD-ready and packed in BAIN-friendly format, so using BAIN or OBMM is adviced. For BAIN/manual install, make sure to install the content of the "00 Core" and one "01 ..." folder into your Data folder. The mod is (as far as I know) compatible with all maps and all user interface mods, but of course not with different map replacers. 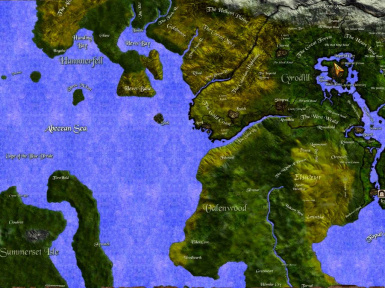 worm82075 for his Tamriel Worldspace Complete World Map, which was used as a base for the Terrain map. 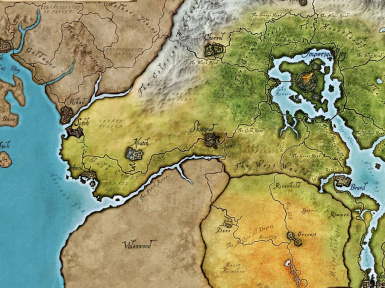 xythen for the original Elven map. p1p3 for the original Color map. 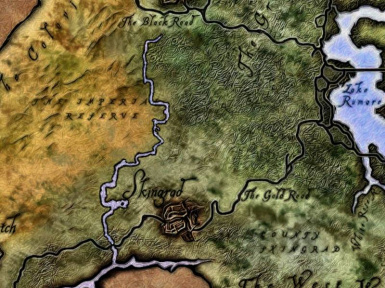 Kiwi-Hawk for the original Tamriel Heightmaps map. aellis and Vorians(display name is already in use) for creating various map components for the Terrain map. 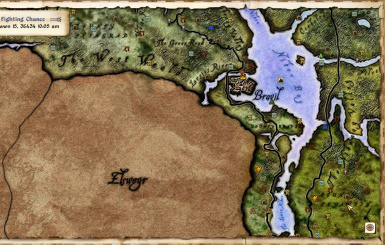 Vargr for the Elven Map Compilation that was used as base for most of the Elven Map components. 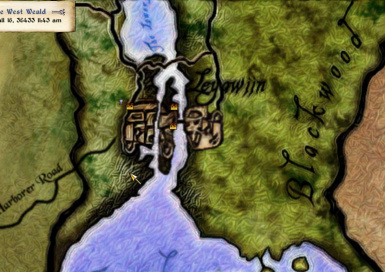 afk_dwip for his map components that was used as base for the Elven Map NR&BR component. * Fixed incorrect textures for some map components. * Corrected the map when having map extending components (like Stirk) and being in another worldspace (like SI).